Wonderful stuff Tim. Where did you find the engraving if you don't mind me asking? JohnR wrote: Wonderful stuff Tim. Where did you find the engraving if you don't mind me asking? John, I got this from SCRAN (ref 000-000-095-718-C). To which building is this plaque affixed? Doh! I spend a lot of time on SCRAN looking for old images of Trongate, High Street, Drygate etc but have never seen this one before which surprises me. I still plan to do a project covering this part of town once the weather improves. Sorry I didn't label it,It's on the corner of Glassford Street and argyle Street opposite Marks and Spencer's I think it was the old Bank of Scotland.Any idea who the Pen and pencil club were? cumbo wrote: Sorry I didn't label it,It's on the corner of Glassford Street and argyle Street opposite Marks and Spencer's I think it was the old Bank of Scotland.Any idea who the Pen and pencil club were? 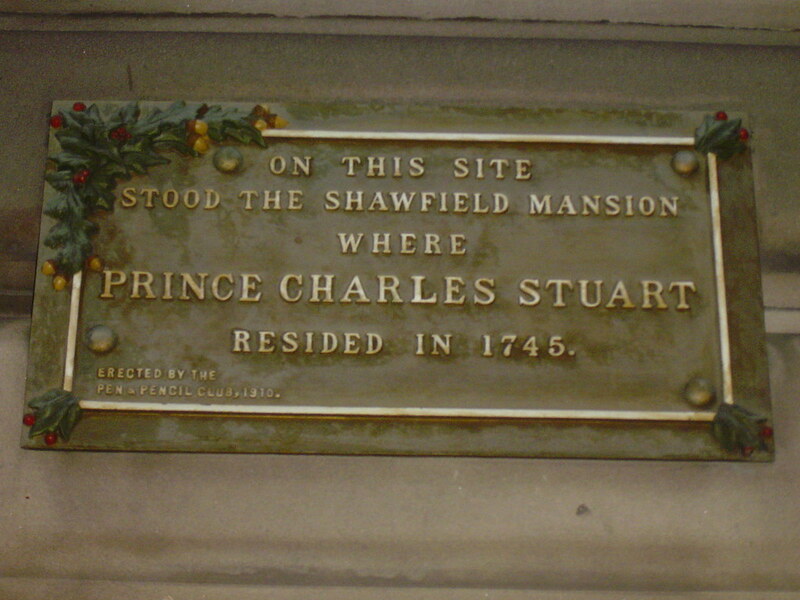 The Pen and Pencil Club also erected a sign to mark James Watt further up the Trongate. It wasn't easy to photograph as it is partially obscured. Based upon a quick google I am willing to bet that The Pen and Pencil Club has journalism/newspaper connections.